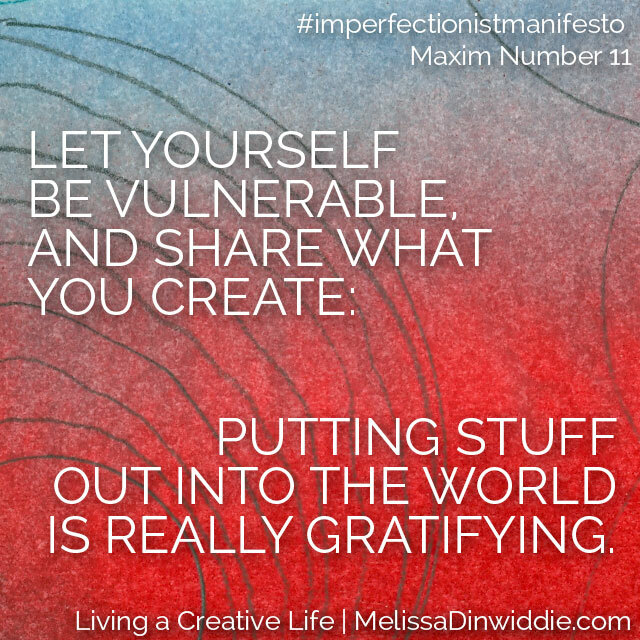 As a creativity instigator, my mission is to empower people to feed their creative hungers. It doesn’t end there, though. Once you’re happily creating, there is another step: to share your work. Not everything has to be shared, of course. The contents of a private journal, practice paintings, rehearsal sessions — our creations need a period of privacy to fully blossom. Fear of judgment can paralyze creativity, so it’s important that every creator has space and time to incubate away from the scrutiny of others. What I see over and over again, though, is that creators stay in this hidden incubation phase for way too long.